SSA DELHI TGT & PGT Recruitment 2019 Merit list out! Sarva shiksha abhiyan (SSA DELHI) has published notification for TGT & PGT vacancies. Interested & eligible candidates can read Notification & Apply online before the last date at http://www.edudel.nic.in. Latest news: candidates who are applied can check merit list from here. Selection process: merit list based on documents. 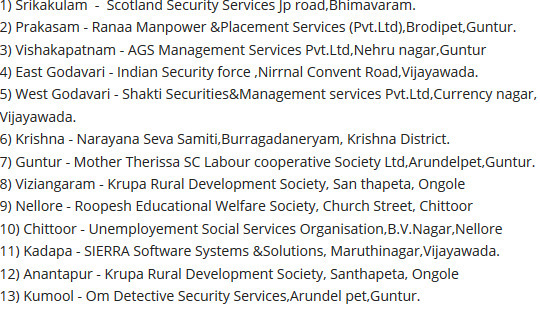 SSA Recruitment Andhra Pradesh & Odisha you may also interested to Check AP SSA Jobs through TS KGBV Recruitment. Short details: Ssa recruitment 2018 ap, Sarva shiksha abhiyan has published notification for Teaching & Non-teaching 2379 vacancies. Interested and eligible candidates can read Notification and Apply online before last date https://ssa.ap.gov.in/SSA//. 1. The minimum age for Teaching & Non-teaching Vacancy is 18 years. 2. The max age for Teaching & Non-teaching current Notification is 39 years. download the notification Agency phone numbers will be there. fill The application details and upload documents. To know the Results: Ssa recruitment 2018 ap Results will be available few days after exam date, on ssa’s website. https://kandhamal.nic.in/>>NOTICES>>Recruitment>>Posting of Block Level Staffs/ RTE, SSA Kandhamal>>download and print the application. but in this web site non teaching post is their which information correct sir please tell me sir so many peoples are waiting for jobs. please give correct infomaton .